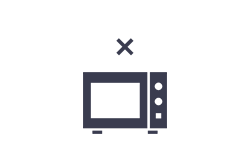 No matter what type of steel, knife edge will be worn away sooner or later. 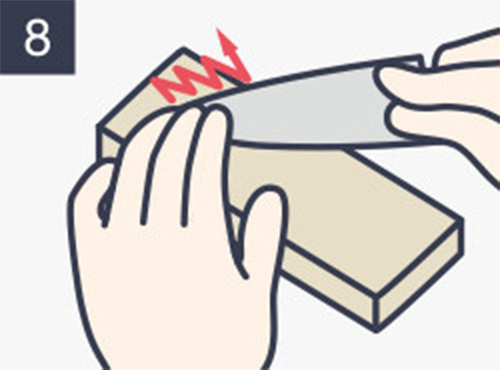 In order to keep the edge sharp, regular re-sharpening is highly recommended. 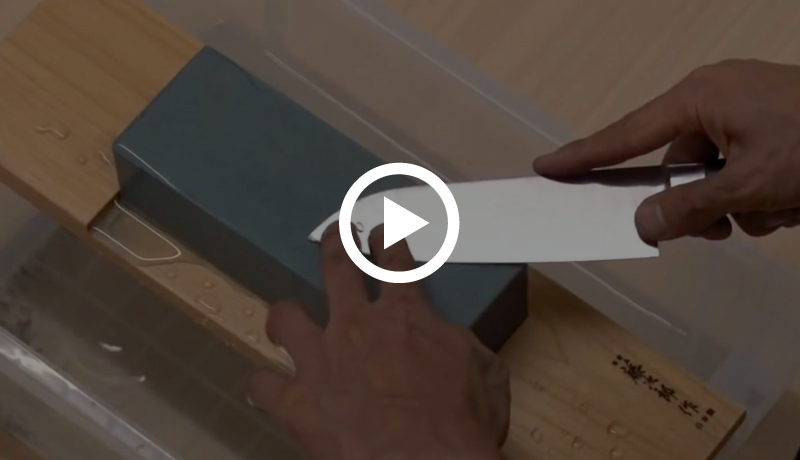 Here we introduce how to re-sharpen a knife. 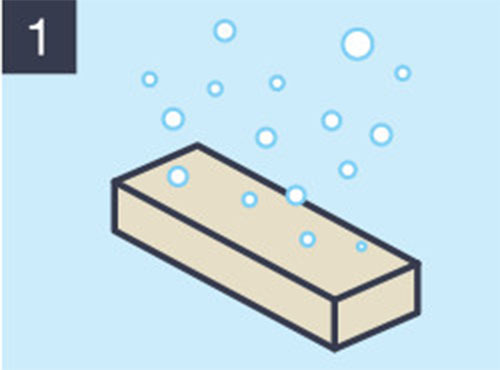 Submerge the whetstone in water. It should absorb enough water until no air bubbles come out. 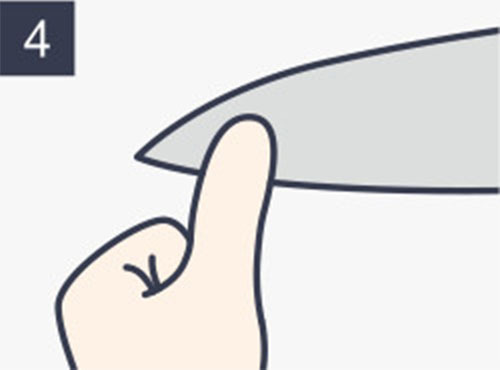 Keep the blade down, hold the handle firmly with your thumb on the blade. 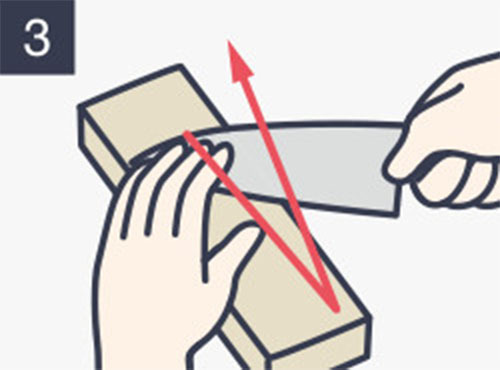 Blade facing towards you, keep the blade 45degree angle against the center of the stone, then start back and forth to re-sharpen. First from the top section of the blade. Check the back side of the blade after some sharpening to see whether if there are burrs can be seen. If there are, sharpening is done. Then move on to the next section, and repeat the same procedure until entire edge is sharpened. The last section, at the end of the blade, you do not have to sharpen this area keenly. Leave this part slightly obtuse. Turn the blade around, and re-sharpen the back side. The back side should be sharpened lightly, only to remove burrs away. 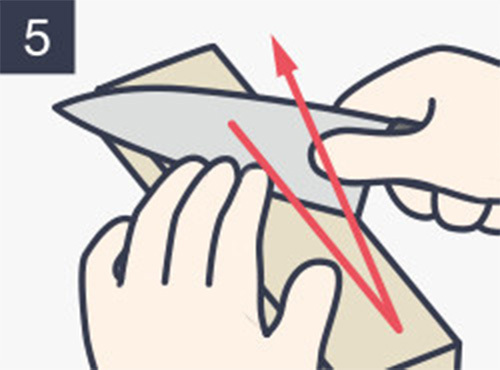 Keep checking with fingers, remove burrs away from the entire blade’s edge. If you have a finishing stone, sharpen with it to refine the edge. Do not place the entire blade on the stone. Keep the blade tilted to about 15degree. Extra angle should be taken and tilt the blade a little upwards when sharpening back side of the edge. 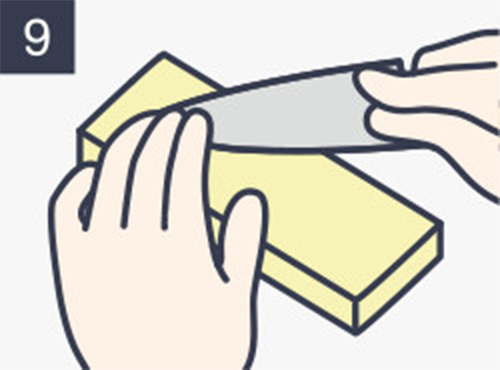 Keep placing “Kiriha” (the slanted area of the blade) on the stone and sharpen by moving back and forth. 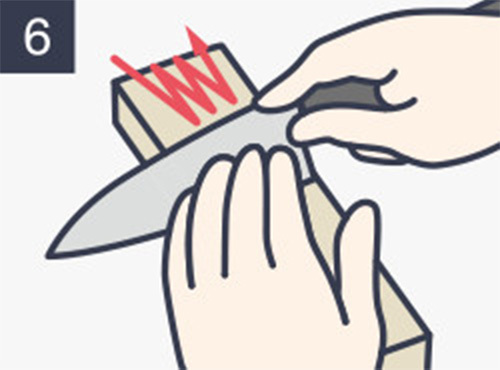 In order to keep your TOJIRO knife in excellent condition for a long time, keep the following in mind, and remember to perform proper maintenance regularly. 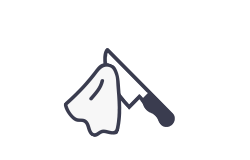 After use, wash your knife with a soft sponge with neutral kitchen detergent. 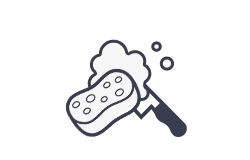 After rinsing thoroughly, wipe off the remaining moisture and store it after allowing it to dry. 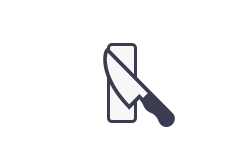 If your knife is left with adherents containing salt or acid on it, or is stored in a damp place for a long time, rust may form. After cutting pickles, lemons, or the like, wash away any adherents as soon as possible. 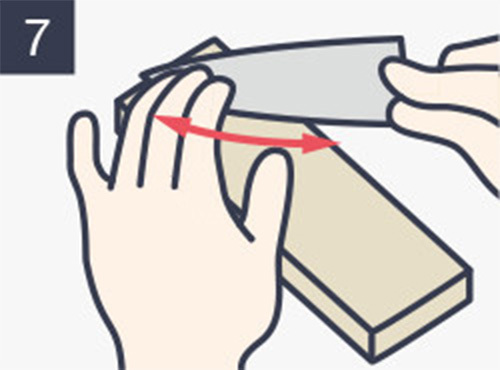 As a guide, sharpen your knife once or twice a month to maintain sharpness. 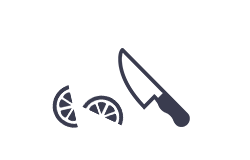 However, serrated knives, such as slicers, cannot be re-sharpened due to their structure. If your knife is rusted, wash it with a sponge and cleanser, or re-sharpen it with a whetstone. 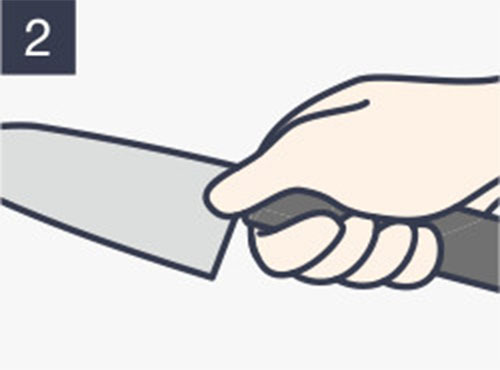 Washing your knife with steel wool or other hard materials may cause scratches. Do not dry your knife in a microwave oven. 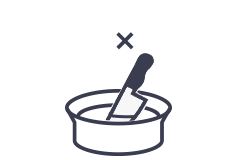 Do not leave your knife in water or hot water in a dishpan. This may cause the formation of rust on the blade or corrosion of the handle.